Quizzical television series Lost is responsible for a recent lottery win by thousands of people. Lost has provided hours upon hours of confusing entertainment for its fans, but is also now responsible for a widespread lottery win. This week's Mega Millions lottery drawing replicated Lost's prominent number set closely enough to provide 9,000 people with $150. 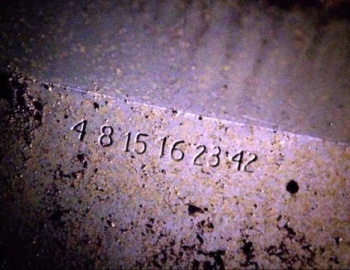 The numbers from Lost were a very mysterious part of the show. Hurley, played by Jorge Garcia, won $150 million in the lottery with numbers 4, 8, 15, 16, 23, and 42 after hearing them from someone at an insane asylum. Unfortunately, the numbers apparently curse his life. The numbers later appear in various other locations, including a strange underground facility, and other spoilerific areas of the show. Two people hit the Mega Millions jackpot of $380 million this week, but the real story is the drawing's close relation to Lost. The numbers drawn were 4, 8, 15, 25, 47, and 42 (the bonus ball), only two off from Hurley's cursed number set. 25,587 people matched three numbers and the bonus ball, with Lost producer Damon Lindelof tweeting that 9,078 people played Hurley's numbers for their $150 wins. I'm actually glad that the Lost numbers didn't fully hit, because then we'd have thousands of people bringing their bad luck all over the world. It'd also be a little too creepy for my liking. I did notice that the Lost collection is selling on Amazon for $148.99 right now, just shy of $150. Were these lottery numbers pure coincidence, or a massive hoax to get people to buy DVDs? I think we've uncovered a Lost-sized conspiracy.